The Pukerua Bay Residents Association is very disappointed that the Pukerua Bay School Board of Trustees (BoT) has decided to pull out of a partnership that saw the school and the community jointly build and then manage our local hall for the past 45 years. They have told us that they believe the current arrangement puts them at too much risk under the Health and Safety Act if someone was hurt in the hall. In particular, they believe the Principal is personally liable for any injuries on school grounds — even to visitors using the hall outside school hours — and having someone else manage the hall hire is too risky. However, this view does not appear to be supported by the Ministry of Education’s advice to schools. Essentially, that advice says that Boards are responsible for ensuring school facilities are safe to use at all times — and we assume the Hall is safe to use — but visitors are responsible for their own actions outside of school hours (‘Health and Safety Practical Guide for Boards of Trustees and School Leaders’, section 2.9, page 19). The current hall hire conditions follow that approach and include an excerpt from the school’s health and safety policy that says essentially the same thing. The Residents Association and Hall Committee (Rachel Prebble, Kate Dreaver, Ann Jebson and Iain MacLean) have met with the BoT on several occasions over the past year and offered to work with them to develop a policy that retains the community’s involvement in our hall and addresses their concerns. They rejected our offer and confirmed last night that they are pulling out of the agreement. As a replacement, they offered the Residents Association the opportunity to meet regularly with the Board to discuss the use of the hall — an arrangement that is substantially less that the one that has operated for the past 45 years. 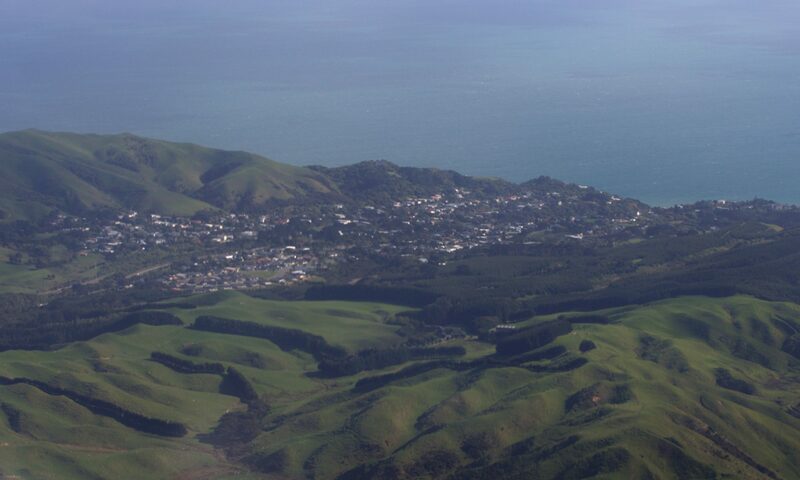 We feel that for the hall to function for the greater Pukerua Bay community at large, there remains a need for a group to be involved in its management that is outside the control of the passing school Board of Trustees and principals. Having the community actively involved in the management of the hall means we all have some influence over how the hall is used, so it is accessible to everyone in Pukerua Bay for a wide range of uses — whether that’s indoor sport, a wedding, 21st birthday or wedding anniversary celebration, theatre, religious services, or children’s holiday programmes. As long as we don’t do any damage or harm anyone, the community has access to our hall. And that’s how it should stay. We believe the BoT’s plan to exclude the community from the management of the hall is an unreasonable and unfair rejection of the 45-year history of partnership, and the hall’s origins as a genuinely shared endeavour between the school and community. Pukerua Bay would not have a hall without both the school and the community contributing to it over many years. Tell us what you think about the Board’s plans. Read the history of the hall below and let us know in the comments below or email Iain MacLean at iain@maclean.name. (Please be respectful in your comments. We will moderate them if they include any personal abuse.) OR answer our one-question survey. Should we keep the hall as a joint community/school hall, or should we let the school take full control of it and cut the community out of its active management? The hall and its management have a rather convoluted history. In the early 1970s Pukerua Bay residents were planning to build a community hall. It was originally going to be built on Raroa Reserve, behind the Plunket rooms, but a deal was reached between the Hutt County Council and the Wellington Board of Education to build the hall on the school grounds, so the community and school could share the hall. The school would have exclusive use of it during school hours, and it would be a community hall outside school hours. The Wellington Board of Education provided the land and architectural and building management services, while the Hutt County Council provided $34,000, with the rest of the money coming from Golden Kiwi grants and community donations. Under the arrangements in the 1973 Deed of Management, the hall was managed by a Hall Committee that comprised three members of the School Committee, three community members elected by residents and two representatives of the Hutt County Council (the previous local authority), one of whom was a local councillor. The Education Board was responsible for maintenance of the hall, while the Hall Committee would set aside money earned from hiring the hall to pay for improvements and maintenance over and above the Board’s normal standard for school halls. The school was responsible for cleaning. Money was kept in a separate account by the School Committee, which the Hall Committee administered. The Hall Committee handled bookings for the hall. This deed was in force until 1990 when, following restructuring of local government and the school system, it was replaced by a similar deed between the Ministry of Education and Porirua City Council. In 2008 a new deed of management was negotiated, which resulted in the Porirua City Council withdrawing from the arrangement and the Hall Committee becoming a sub-committee of the Board of Trustees. Under the Tomorrow’s Schools reforms, the school now owned the hall and the Ministry of Education was no longer a part of the committee. The Hall Committee continued as a sub-committee of the Board of Trustees until 2015, when the Board negotiated a change to its policy with the Residents Association so that the Hall Committee members were appointed by the Association, as the BoT felt that was the better way to represent the community’s interest in the hall. That policy is now up for review and the current Board of Trustees wants to get rid of the Hall Committee and take total control of the hall, cutting the community out of its management. The money earned from hiring the hall was originally held by the school in a separate account, which was managed by the Hall Committee. At some point, the Hall Committee got its own bank accounts, and managed the money itself. When the Porirua City Council stopped its involvement in the hall, that money was transferred back to the school’s account in April 2009. At the end of 2008, the Hall Committee had approximately $18,350 in a term deposit account and $3,660 in its cheque account, which went into the school’s account. This was money that had accrued since 1973. This is when the picture starts to get cloudy. The Hall Committee has found it difficult for a long time to find out from the school how much money is in its account. Income goes in from the hire of the hall, with the After School Care group being the largest user, and some expenses are paid from it, principally a proportion of the power bill for the hall. These changes have been tracked in a spreadsheet by the school, and the last balance the Hall Committee got from the school, in May 2015, was $28,269.14August 2015, was $27,804. At the time the After School Care group was in arrears so the true total was closer to $30,000. In 2011, the Hall Committee was able to get some money from the hall account to pay for a fridge, oven, crockery, cutlery and utensils as part of the refurbishment of the hall kitchen. In 2015, the Hall Committee surveyed the community to find out what improvements people wanted made to the hall. However, the committee has not been able to make any progress on any of these improvements for two reasons. Firstly, they needed to fit in with the five-year property plan the school negotiates with the Ministry of Education, which governs all maintenance and improvements to school property. Secondly, they were told that the school had to reconcile its accounts with the Ministry to free up the money from the hall fund to spend on improvements to the hall. The Committee has repeatedly asked about this for several years, to no avail. At a meeting with the Board of Trustees last year, we were told that the way the school’s accounts work under the Ministry’s system, all the money left in the budget at the end of every year goes into one pot to be rebudgeted the following year. So, hall money is not carried over from one year to the next in a separate account, which is why the school could not easily account for the money. We were assured that the money was still in the school’s account, but it had basically disappeared from view. This concerns us because it is a lot of money – it could be as much as $30,000, which the community had paid over many years – and we would love to spend it to make improvements to the hall. The school’s 2017 financial statements don’t mention hall money at all, and the BoT confirmed last night that the money has all gone, with no record of what it has been spent on. We accept that the current Board has only become aware of this issue in the past year or so, and has looked for the money, but has been unable to find it. However, we believe they owe it to the community to help sort this issue out. The money is important, but we value the partnership much more. We find it ironic that, after years of being virtually ignored by the Board, they now want to take total control of the hall. The Board maintains that it will continue to provide the same access the community has always enjoyed, and that the management will go smoothly. However, we are not convinced of that, based on the difficulties it has had managing the After School Care hire arrangement over many years. We continue to hope that we can work with the Board of Trustees to develop a management policy that continues the 45-year partnership and addresses the concerns they have about their legal liabilities. The Board of Trustees has decided to create a situation where the community will have no say in the management of the hall, no way to make any improvements to the hall and no access to the money that has built up over many years from people in the community hiring the hall. We have told the Board that they must consult the whole Pukerua Bay community about the future of the hall when they review their policy. We call on the Board of Trustees to honour the history of the hall as something we all contributed to over four-and-a-half decades and return to the partnership that gave the community this wonderful resource in the first place. Tell us what you think about the Board’s plans. Let us know in the comments below or email Iain MacLean at iain@maclean.name. (Please be respectful in your comments. We will moderate them if they include any personal abuse.) OR answer our one-question survey.